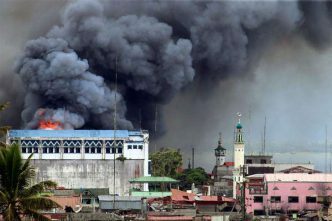 Finally, after four months of fighting, the latest news from the southern Philippines city of Marawi indicates that the Armed Forces of the Philippines are close to regaining control of the city from Islamic State fighters. Direct Australian assistance to date has been limited to intelligence support provided by two RAAF P-3C Orion aircraft and a humanitarian aid package to the tune of US$16.2 million. There have been offers of further assistance, the detail and specifics of which are still being worked through by both governments. 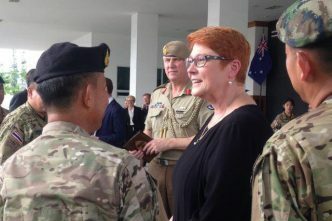 With a possible end to hostilities now in sight, some questions are being asked about the appropriateness of continuing Australian military assistance to a government that’s mired in human rights controversies and has a questionable commitment to a peace agreement in Mindanao. Earlier this week, my colleague at ASPI, Isaac Kfir, made the case here against further increasing Australian military support to the Philippine government. 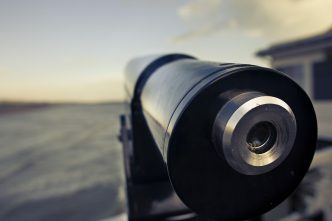 This post seeks to provide a different view. Privately, many intelligence and security officials in Indonesia, Malaysia and the Philippines are expressing concerns that the Marawi situation could evolve into a broader insurgency, more virulent and dangerous than that experienced in the mid-2000s at the hands of Jemaah Islamiyah (JI). Sidney Jones and others have written about the growing linkages between ISIS-inspired groups across the region and the attendant risk of further jihadist violence if the conflict is prolonged or rekindles. Beyond the Philippines, the region remains susceptible to outbreaks of extremist-inspired violence. The Malaysian and Indonesian prison populations contain a high proportion of former JI-affiliated extremists, who are due for release in the next five years. Combined with the growing disenfranchisement of Myanmar’s Rohingya population, an already well-established pattern of Uyghur movement through the region, the return of foreign fighters and their families from the Middle East, and pre-existing drivers of religious disenfranchisement, this provides a set of volatile conditions. 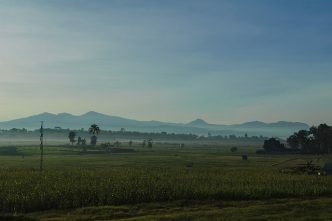 Assuming that the current outbreak of violence in Marawi is contained in the near future, the broader political conditions in the southern Philippines increase the chances of a repeated outbreak of extremist-inspired violence, particularly since ISIS and affiliated extremist brands will persist in fomenting further unrest in the region. This compounding set of circumstances demands a comprehensive response from regional governments and the broader international community. Australia has a long history of working effectively with regional partners to resolve complex security problems. Given the current US preoccupation with containing a nuclear breakout in North Asia and fighting extremism in the Middle East and Central Asia, there’s a widening opportunity for Australia to play a leading role in coordinating regional responses to extremism in Southeast Asia. But the circumstances are such that waiting to see what a post-conflict Marawi looks like, or waiting for a greater US military investment in the Philippines, might result in either a runaway security situation or the involvement of other regional actors, such as China. While recent efforts to build regional cooperation on the issue of returning foreign fighters have been an important step in defining a multilateral approach to the growth of extremism in the region, Australia should seek to proactively reinforce the initiative with direct bilateral action with willing regional partners. A country-to-country agreement between Australia and the Philippines will complement and reinforce the slower but equally important multilateral line of effort. Combining bilateral defence and aid support with reinforcing multilateral initiatives will provide complementarity to our efforts while addressing the need for action now. A bilateral line of Australian military support in the Philippines will reinforce other bilateral contributions by other countries without risking complete collapse should President Duterte’s rhetoric regarding US support be realised. In advocating for Australian support to the Philippine government, it is important to ensure that such efforts are delivered in a way that is acceptable to the Philippine government and are directed at building host nation capacity wherever possible. 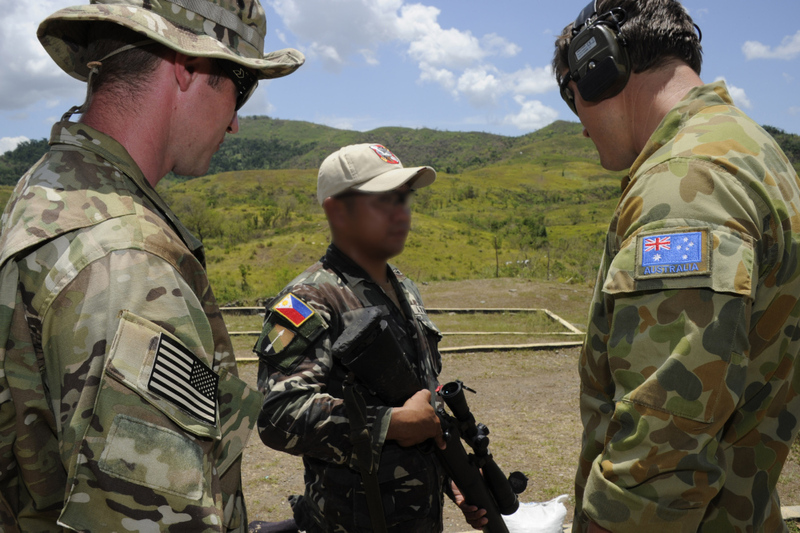 The commitment of Australian Army training teams to improve the Philippine Army’s urban fighting skills, joint maritime patrols to enhance Philippine border security and an evolving intelligence and surveillance capability, currently provided by RAAF P-3C Orion aircraft, will all achieve this. Through these commitments, Australia will be well positioned to expand and deepen its training collaboration with the Philippines while strengthening regional counterterrorism capabilities. Beyond a military line of effort, Australia should consider providing further financial aid for post-conflict reconstruction and development efforts in the southern Philippines. The deeper political, ethnic and religious divides should not be underestimated. 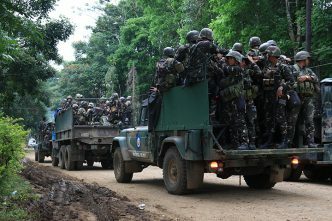 If joint military training and aid funding are delivered effectively, the trust that is built may engender a willingness on the part of the Philippine government to consider security-sector and judicial reform in the fullness of time, particularly if it is undertaken through more deliberate approaches to getting the faltering Bangsamoro peace initiative back on track, however unlikely that looks at this time. The Marawi conflict has highlighted the security vulnerabilities within the region. While Australia’s focus for the past decade and a half has been on fighting extremism in the Middle East, Australia needs to turn its attention to its own region and should be prepared to make the commitment necessary to buttress security in its immediate neighbours, even if that means accepting a few risks along the way. Micah Batt is a visiting fellow at ASPI’s Counter-terrorism Policy Centre. Image courtesy of the Department of Defence.